When products have the potential to save millions of lives, it’s helpful if people are told about those benefits. The Food and Drug Administration (FDA) can do just that as it considers allowing manufacturers of non-combustible tobacco products to notify smokers that completely switching from cigarettes to smokeless tobacco products can save lives. There is a clear commitment to look again at these regs. You’ll understand if I can say no more than that, right? The organisers are keen for as many consumers as possible to attend GFN 2019 and they have made a generous sum of money available to sponsor consumer advocates to go there. Awards will be available to partially cover the costs of travel, accommodation and registration fees. You need to register your interest in applying for this sponsorship by writing to me, at jessica.harding@gfn.net.co by Friday 22nd March. Please state which of these you would like assistance with: travel, accommodation, registration for the conference, or all three. In what began as a Senate Floor speech on the FDA’s proposal to Ban Menthol Cigarettes, several startling facts came to light that truly show the conflict of interest in the Food & Drug Administration. Senator Richard Burr (R-NC) took to the floor with a message that paints the Government Agency in a less than shining light. He discussed the agencies inability to fulfill the tasks they were given and more importantly called into question the leadership’s priorities when it came to not only Menthol Cigarettes but the entire field of harm reduction that they had left to rot. Research finds that vaping is (mostly) more prevalent in higher income countries with moderate to relaxed approaches to legislation; meaning tobacco harm reduction excels with a light-touch approach to laws. Twenty-five researchers from nineteen institutions looked at the impact of regulations in fourteen countries. An email is circulating public health circles calling for signatures to a letter expressing concern over the Foundation for a Smoke-free World’s (FSFW) letter to the World Health Organisation (WHO). The eight authors aim to block any moves for the FSFW to work in partnership with the WHO, placing blocks on the progress of reducing tobacco-related harm in the process. IRELAND is falling behind in the war against smoking – so it is time to use “vaping” as a helpful “quitting tool,” the Government has been told. Fine Gael senator Catherine Noone said Ireland is at serious risk of not achieving its target of getting tobacco smoking below its target of 5pc in the next six years. She said that increasingly anti-cancer and anti-smoking campaigners are reluctantly accepting that vaping can help people quit smoking. The letter, sent to the White House on Monday, criticized the Food and Drug Administration – and specifically its commissioner, Scott Gottlieb – for waging an “aggressive regulatory assault” on e-cigarettes. The signers include Americans for Tax Reform, ALEC Action, the Competitive Enterprise Institute and the Goldwater Institute. I have cancelled my membership of the Australian Medical Association after 30 years as a loyal member. I can no longer tolerate the AMA’s hypocrisy on harm reduction: supporting pill testing for drug takers but opposing vaping to reduce the harm from smoking. The association recently lent vocal support for pill testing at music festivals. Pill testing is a sensible harm reduction policy which aims to the reduce harm from illicit drugs. The association accepts that people will continue to use drugs despite the risk. Pill testing is a pragmatic solution which aims to reduce the harm that will inevitably occur in some cases. India’s plans to regulate internet content have put its vaping community at loggerheads with its government. 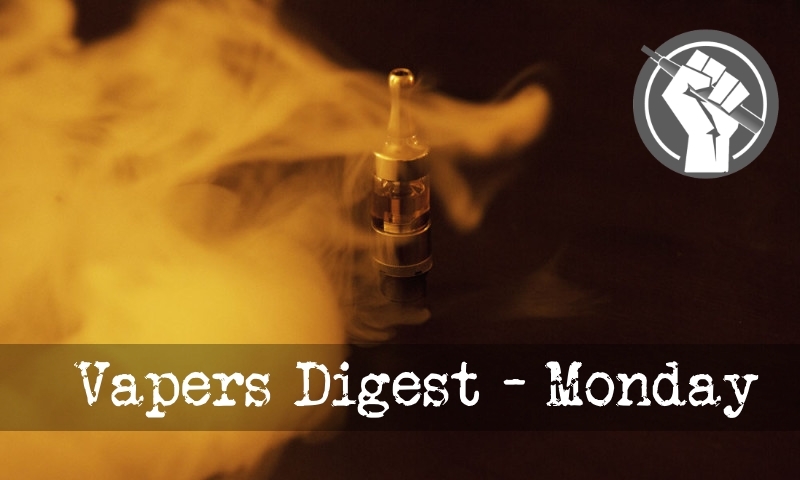 The country’s ministry of electronics and IT proposed changes to India’s Information Technology (IT) Act last December that would require web platforms like Facebook, WhatsApp, and Twitter to remove online content that promotes Electronic Nicotine Delivery Systems (ENDS). As a category, ENDS includes e-cigarettes and other methods of vaping, and currently occupies a legal grey area in India.